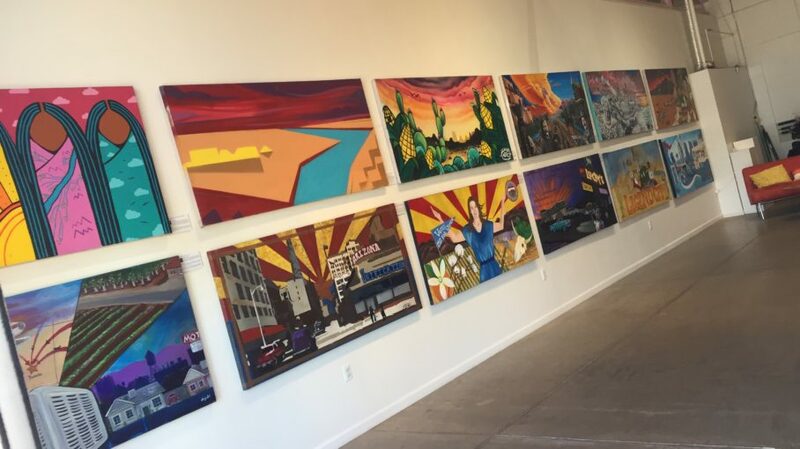 Arizona Heritage Center at Papago Park hosts long-term installation for Phoenix Phabulous History Mural collection and storytelling series! Public invited to opening reception on Thursday, April 27, 5:30 p.m. to 7 p.m.
Arizona Heritage Center at Papago Park announced year-long art and storytelling installation featuring the Phoenix Phabulous History Mural collection, an indoor mural series sharing the fascinating story of Phoenix in nine distinct time periods. From the early Hohokam civilization to the imagined future, the display includes 16 large painted murals capturing iconic events representing Phoenix history. The mural collection is on display from now through February 1, 2018 and activated through a four-part storytelling series including hosted networking receptions for patrons and visitors. Sponsors will help host programs featuring a diverse group of authors, local artists, historians, and Arizona celebrities. Hosted programs and opportunities to meet with presenters and artists will begin at 5:30 p.m. as follows.